Collagen supports the skin, teeth, bones, tendons, muscles and cartilage and is one of the most plentiful proteins in the human body. As we grow older, we begin to lose collagen in our skin; hence the signs of aging and wrinkles. That's why it's important for us to mantain the healthy collagen that we do have, and build new collagen naturally so the aging process can be slowed down. AVOCADO OIL in one study, avocado oil fed to rats was shown to significantly increase the soluble collagen in the skin. The increased soluble collagen content appears to be a consequence of the inhibition of lysyl oxidase activity. GOTU KOLA compounds in gotu kola called triterpenoids build up collagen in the skin to strengthen it. This herb has a long history in the East. It is presently used in China to prolong youthfulness. Be aware that gotu shouldn't be taken for long periods of time. DRY BRUSHING increases and regenerates the production of collagen and elastic fiber in the skin. Dry brushing can be done before a shower. It is very stimulating to the skin. BIOSIL is a popular supplement known to increase collagen in the skin. It is made from a form of silica known as othsilicic acid. People have reported fabulous results from long term use. GREEN & WHITE TEA contain many compounds to help people retain a more youthful appearance by promoting collagen and elastin health. GARLIC is not only delicious but contains sulfur which helps the body produce collagen. It also contains taurine and lipoid acid which support damaged collagen fibers. TOMATOES These are very rich in the antioxidant lycopene which inhibits collagenases. Collagenases are enzymes that destroy collagen. 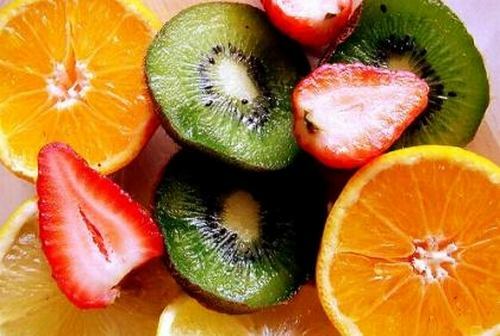 Antioxidants neutralize free radicals which would otherwise destroy the collagen and supporting structure of your skin, so taking foods with antioxidants. SOY FOODS contain genistein, an isoflavone. This isoflavone blocks enzymes that would otherwise destroy collagen. The best soy foods are edamame, tempeh, tofu and miso. ROSEHIPS are very high in vitamin C which is known to be one of the most important collagen builders. Warm rosehip tea is a great way of getting vitamin C in during the day. If you can only pick one of these twelve, pick this one. AMINO ACIDS Taurine, Carnosine, Lysine, and Proline. POMEGRANATE one recent study showed that pomegranates stimulated the production of collagen in the skin. High in nutrients and plant estrogen, pomegranates are a great addition to your daily meals. TOKI is a Japanese drink containing collagen, vitamin C, glucosamine and other nutrients needed for collagen production. Obviously aging is inevitable, but there are ways of slowing it down drastically such as including all, or some, of the above into your anti-aging plan.